For more than 30 years, residents in the greater Everett WA area have been visiting the dentist at Gentle Dentistry in Mt Vernon WA. Less than a mile off of I-5 in Mt Vernon, the tradition of excellence continues at Gentle Dentistry with dentist Dr. Eunice Kim. Dr. Kim's patients include many from Everett. The drive is worth the individual care Dr. Kim and the staff at Gentle Dentistry provide their patients. Dr. Kim is a sedation dentist, cosmetic dentist and general dentist and can help make your next visit to the dentist a pleasant experience. Whether you have haven't been to the dentist in years or you visit the dentist regularly, Dr. Kim can help you have healthy gums and teeth and a smile you can smile about. 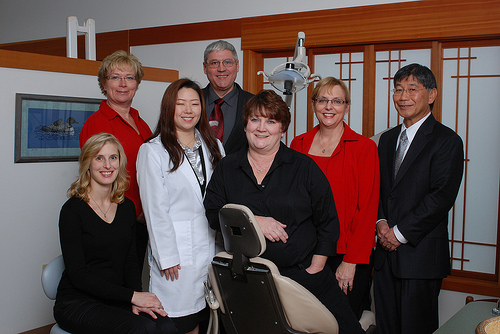 To learn more about Everett dentist, Dr. Eunice Kim, contact Gentle Dentistry in Mt Vernon WA today or fill out the simple form on this page to schedule an initial consultation.